Sherwood Landscape Construction L.L.C. is not your ordinary landscape company. We have over three decades of experience with custom designs. 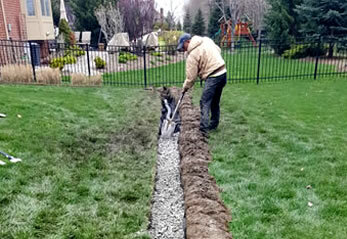 We specialize in the development, design and build of your landscape. Our designs are traditional and timeless. We focus on lifestyle function and longevity. 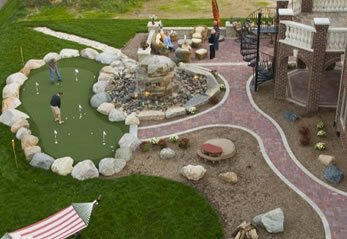 We want to make sure that your landscape design is custom to the needs of you and your family. Quality is the main component in every project, and customer satisfaction is the key element to our success. We specialize in transforming inspirations and visions into reality for our customers. Our designers are here to help make sure you consider all of the options and to add their creative flair to make sure your custom outdoor living area turns out exceptional. Paying attention to the details of the project is one of the ways that Sherwood Landscape Construction stands apart from the rest. A custom outdoor living space is an extension of your home and can end up being the part of your home you enjoy the most. Hardscaping requires the right construction tools, equipment, time and skills. Let Sherwood Landscape Construction take the pressure off of your shoulders. We plan and prepare extensively to make sure our work is performed in a fast and accurate manner. 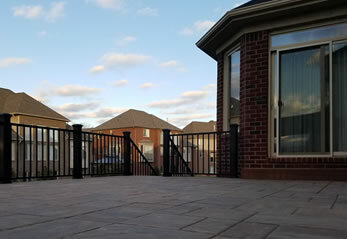 We use only high-grade materials from start to finish. We take great care in listening to what your needs and dreams are, and you can rest assured that your satisfaction is our highest priority. Robert Sherwood is a professionally licensed builder with Sherwood Landscape Construction L.L.C. in Romeo, MI. Having a licensed builder on staff helps to ensure that your project is done up to city and county regulations. We don’t take any shortcuts on your project. We strive to have your project last a lifetime. Robert Sherwood is also an expert in drainage issues teaching homeowners in water management. He has worked thousands of projects successfully removing water from properties. Over the years these clients have benefited and saved money in the preservation of home and property. You can be rest assured our focus is on fulfilling your vision from start to finish. We want you to be 100% satisfied with the outcome. Each project we build represents a significant investment of our time, resources and knowledge. Therefore, the highest quality and value is our mutual goal. Imagine inviting spaces, all of their own purpose and beauty draw you, your family and guests in, to relax and enjoy the resort feel of your very own outdoor dreamscape. 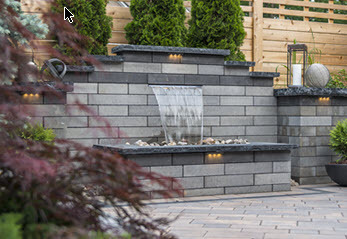 Whether it’s a cascading waterfall, an elegant bubbling brook, or a fountain, we can help you create a slice of paradise in your own backyard. If you have a soggy yard or a wet basement, the solution may be a French Drain System, a channel that collects water and diverts it safely away from your house. 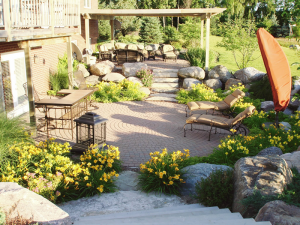 Transform your elevated wood deck into a beautiful and durable stone deck. Not only is it strong and beautiful but it’s also made with recycled materials right here in the US. Every once in a while I do business with a good contractor. This time I did so with a great contractor. It started that first day you showed up to see what type of project we wanted. It continued with your presentation package. Then Scott and his crew did the work. It all came together and it looks beautiful. You need to know that we will get a lot of enjoyment out of the patio you folks built for us. Jen, your design work was perfect, nice to see the product before it’s completed. The crew with Scott cleaned up each day to the point you didn’t know they were there. If you ever need a reference please use us. 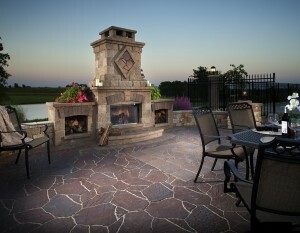 I will talk to anyone and I am very willing to show our patio as an example. Scott was so easy to work with and every time I approached him about something he got it covered and taken care of. Plus he had several creative ideas that were fantastic. I hope your business continues to be successful. You sure have found the recipe.